Whether it is traditional or praise, youth-oriented or sagely-focused, within the sanctuary or among God’s creation, worship is the community called and gathered in Jesus’ name. Sing to the Lord, all the earth. Tell of his salvation from day to day…For great is the Lord, and greatly to be praised! Worship is a time for all of God’s children to gather in the name of the Lord where we may find peace in forgiveness, grace in baptism and communion, shared dedication in our prayers and commitment to responding to our Lord’s call. When we worship our Lord we are filled with good things: grace, God’s Word in our lives, and a love for the Lord and our neighbor. You have a place here at St. Peter’s and your presence will bless our worship. 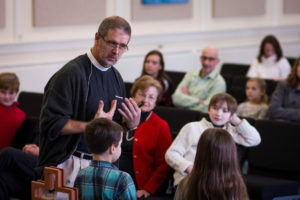 Our traditional worship services offer a liturgical experience grounded in the rich heritage of Lutheran piety, yet connected to a modern context through creative preaching, varied music, and a variety of parish rites and celebrations. A diversity of lay and rostered leaders and a congregation of young and old keeps worship lively, fresh and relevant. Our New Day Worship is a blended praise service, offering traditional Lutheran liturgy with modern language and upbeat, contemporary music. The mood is relaxed yet vibrant. Whether you are new to the faith or a life-long church-goer, there is a place for you at New Day! St. Peter’s worship is rooted in the Word of God. Our liturgy, prayers and music find inspiration from God’s Word. Our worship is given life through God’s sacraments. We are given our identity as God’s children through the sacrament of baptism and receive the assurance of grace through the sacrament of communion. 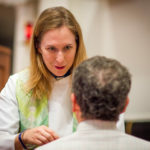 Martin Luther liked to say that in preaching, the Word of God is “poured into our ears.” Each week one of our rostered leaders prepares a message that connects the Biblical themes of the day with our lives, the world in which we live, and our relationship with our Almighty God. We hope that you too may feel the Word of God pouring into your heart, mind and soul. 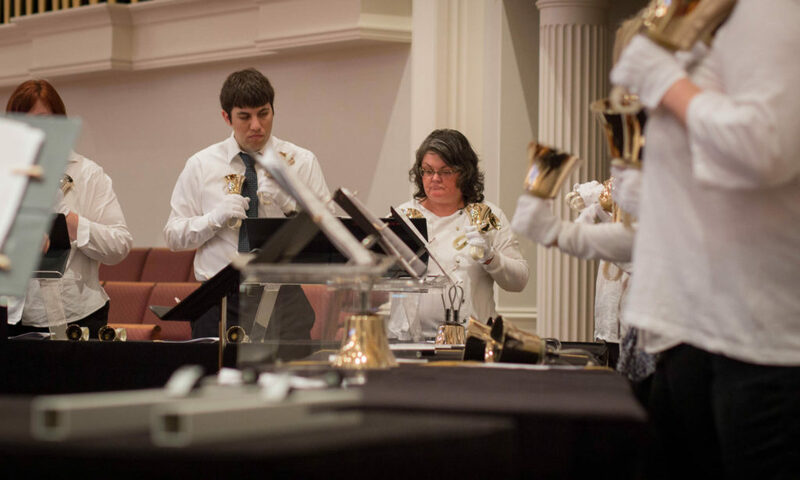 St. Peter’s has a rich tradition in the art of music as experienced in our traditional congregational and praise music singing, vocal and instrumental ensembles, praise band and special musical programs. Your child is precious in God’s eyes and treasured in our worship space. St. Peter’s strives to involve children in all parts of the service, from singing and reading to receiving communion. We want your child to hear the great story of God’s love. We gather for worship every Sunday as well as on special occasions, holy days, special events, and times of remembrance. Weekly special worship services are held during Lent and Advent, and for various holidays throughout the year. Check our calendar for a schedule of special services. In baptism we become children of God, “sealed by the Holy Spirit and marked with the cross of Christ forever.” Are you interested in being baptized or having your child baptized? Please contact one of our pastors for further information. 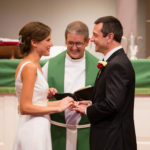 As Christians we understand life passages such as weddings and funerals to be moments in time when we look to our Lord for blessing, assurance and peace as we gather together as a community of believers. Our Guidelines and Policies for Weddings are available here. Please contact the office for further information. Do you want to participate in our worship? It’s easy to get involved! Use the form below to sign up.